There are several PDF Creator and PDF Reader available online. It is not easy to find best PDF Software. Many times, I faced this problem. Now Finally I have found best solution “Soda PDF”. I have tried many PDF Software but no one like SODA PDF. It’s all feature are fantastic. After finding this, I never went to search PDF Reader or Creator since It is all in one PDF Software. Now you don’t need to download different software one for reading and one for creating, you can do all things with Soda PDF Software like reading PDF, creating PDF or converting into any format etc . 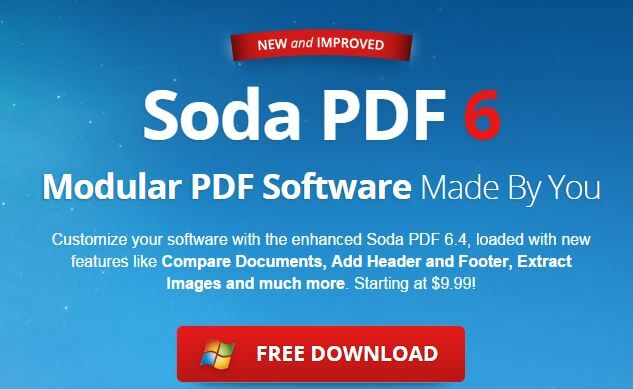 Soda PDF was launched in April 2010 by LULU Software. It was created with the user in mind and provides unparalled ease of use to provide a PDF Application that is designed to be fast and simple. Main aim was saving time and increasing efficiency. Company has been included many new features in Soda PDF 6. What’s New In Soda PDF 6? With the integrated Online Services, save your files in the cloud to access them from any device, anywhere. Now convert your PDFs to PowerPoint along with other file formats. Do more with your Edit Module! Easily Replace Pages and Extract Images. Insert Headers and Footers as well as Watermarks in your documents! Drag and Drop pages in your previewer to reorder your document. Open any PDF file, including comic books, with our free built-in PDF reader. Create PDF from Word, Excel, PowerPoint, image and 300+ file formats. Turn any PDF and text locked into its images into a fully editable document with our Optical Character Recognition OCR technology. The Review Module in Soda PDF 6 is specially designed feature to help users collaborate on their documents using the review tools to annotate their PDFs as well as compare two documents. Mark your documents by highlighting, underlining and strike through. Standard package come with three module Convert, Edit and Insert. If you want edit, insert into your PDF and want to convert your PDF into word, excel, HTML or various image type of files then this package is for you. 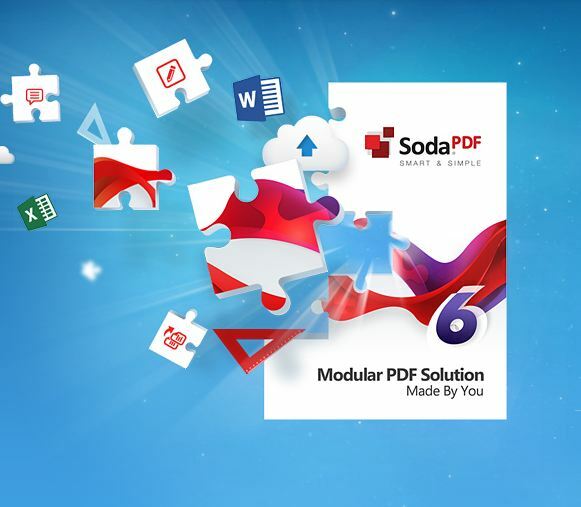 Soda PDF 6 Professional Package is the advanced solution with everything which user need like customize, secure, and collaborate on their PDF documents. As package name suggests PRO + OCR. One more module OCR has been added n PRO package. Best thing about Soda PDF is, you can get a trail version for all packages for 14 days. Choose package according to features which you need. I will recommend to buy Professional Package or PRO+ OCR package as compared to Standard Packages. You will miss lots of cool features just save to few dollars. Soda PDF support center provides fast and 100% satisfied services. If you are facing any problem or you have any query, Call +1-888-670-0739.